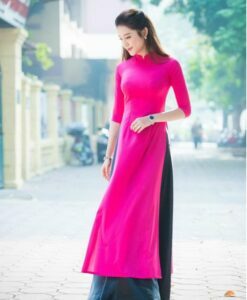 Hien Thao Shop would like to introduce the custom made Viet Nam Ao Dai Light Pink in chiffon and satin. This is the double layers chiffon for the top and black satin for the pant. 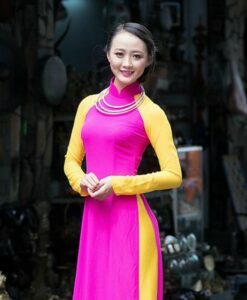 The color, decoration, and design as on the pictures.